The Chicago Teachers Union warned its members not cross the picket line during Friday’s walkout or they could be kicked out of the union. Union leadership said Monday that teachers who show up to work during the strike would be in violation of union rules and could face potential removal from the uion. Chicago Teachers Union delegates voted last week to approve a one-day school walkout Friday. The teachers union has said the “April 1 showdown” would address the lack of a state budget that has affected school funding. 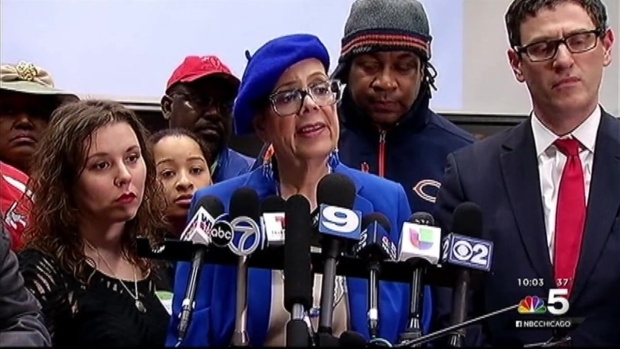 Chicago Teachers Union President Karen Lewis said Wednesday teachers are encouraged to picket in the morning and gather downtown with other unions at the Thompson Center for a rally. "We want them to know structural funding needs to change," Lewis said. "We'd like to get this settled at some point or we'll continue to be in same position." As the Chicago Teachers Union prepares for a vote on its one-day strike next month, parents are expressing concern over the possibility their children will lose another day of school. NBC 5's Regina Waldroup reports. "We welcome teachers to come to school," he said. "We hope teachers will come to work that day to help keep kids safe and keep education going." The district is expected to announce Tuesday plans for where children can go instead of school. "For many of our children, school is where kids get meals, so we need to make sure these kids are fed," he said. The walkout would mean CPS schools would be shut down for the second Friday in row after schools closed March 25 as part of three unpaid furlough days for teachers. Claypool said teachers who do not have a "legitimate reason" not to be at school will not be paid. "This illegal strike we believe is a shame because it plays into Gov. Rauner's hands," Claypool said. Lewis argued, however, the walkout is legal, and that negotiations are set to take place Thursday. 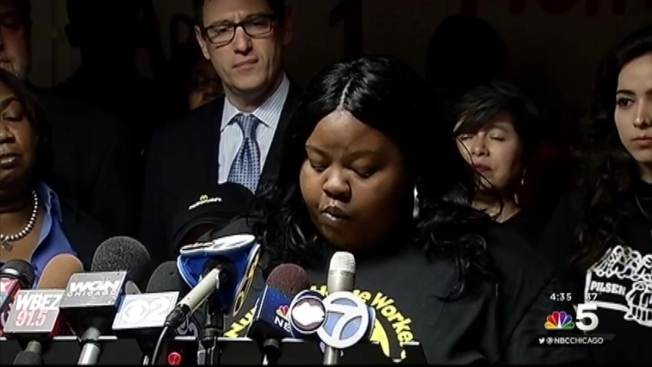 CTU leadership has admitted that some teachers have concerns about the walkout. Joining the union Friday are a number of community activists, labor groups, and students.